The outfielder amassed 4,367 hits between the major leagues and Japan – a professional baseball record. 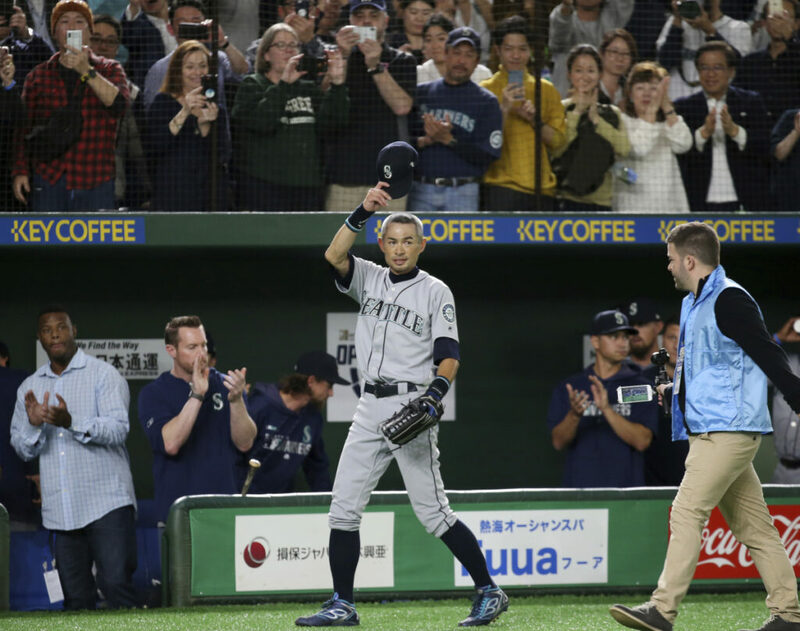 To chants of “Ichiro, Ichiro, Ichiro” he was greeted at the dugout – and later in the dugout – by emotional embraces from teammates. 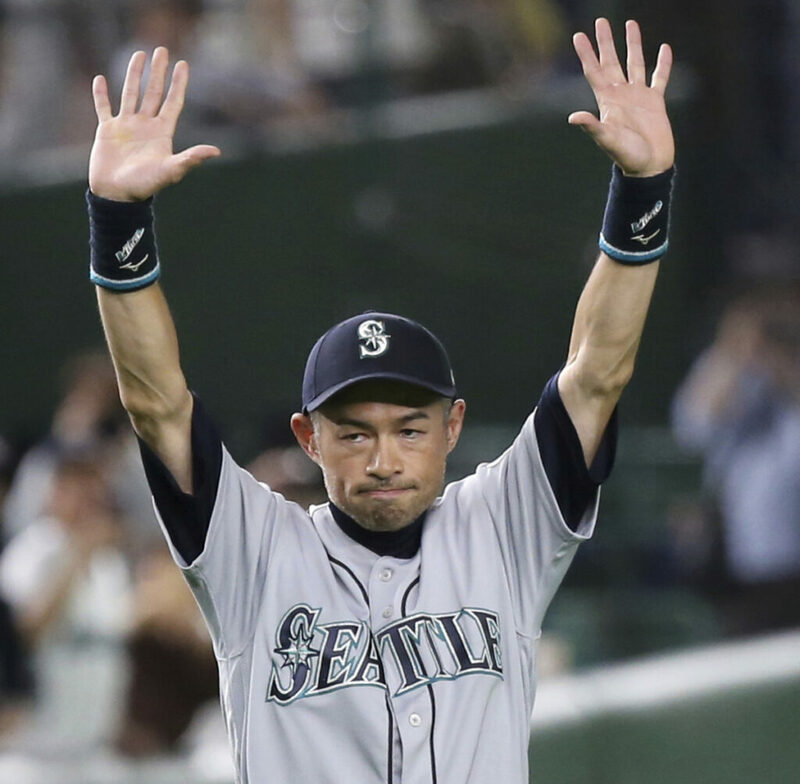 Ichiro was 0 for 5 in the two regular-season games against the A’s in Tokyo, leaving him with 3,089 hits in 19 seasons – a sure Hall of Fame resume. He had 1,278 before that over nine years in Japan, making him baseball’s all-time hits leader.